Welcome to PlayPokerNewYork.com. Here you will find news and information on the regulation process for online poker in New York. In addition, you will find brand review, information on mobile poker apps and how you can support the regulatory process. New York is the latest state considering the issue of iPoker regulation. After the aftermath of Black Friday in 2011, it became clear that online poker regulation was the only way to protect citizen’s rights from unscrupulous overseas online poker operators. In December 2011, the United States Department of Justice cleared the path for state iPoker regulation by declaring that the federal Wire Act only applies to sports betting. Prior to this opinion, lawmaker opinions were that online poker fell under the Wire Act and was automatically illegal. After the Wire Act clarification, three states have legalized online poker and several others have taken the matter under advisement. New York is the latest state to do so and is likely to be one of the next states to bring legal online poker to its citizens. Is Online Poker Legal in New York in 2015? No, online poker is not presently legal in New York. New York currently considers online poker as illegal gambling. In addition, under the Unlawful Internet Gambling Enforcement Act (UIGEA), banks are prohibited from processing transactions for online gambling activities. Poker is still considered gambling despite arguments by players that it is a skill game. While online poker is illegal gambling under New York state law, state and federal law enforcement officials tend to only go after online poker operators rather than players of online poker. That is why there are still a large number of New York citizens still playing on unregulated and technically illegal sites under U.S. laws. Please note that while most players will not face criminal charges while playing on unregulated sites, they take huge risks with their money by doing so. The history of online poker has many examples of unregulated online poker sites that have closed up shop and were unable to pay their players. Lock Poker is the most recent example of this. Earlier in 2015, Lock Poker went out of business and subsequently stole over $20 million from players in the United States and around the world. Players have zero recourse under U.S. law for their lost funds. That is why it is important that online poker regulation becomes a reality in New York and in the United States in general. Regulated markets provide protection for online poker players and prevent situations such as Lock Poker from occurring. The best way to describe the present status of regulation in New York is fledgling. While bills have been submitted into the legislature the past couple of years, they have gone nowhere. Frankly, the industry was too new and only lately has there been enough hard evidence for lawmakers to examine in making an educated decision. Online poker hearings are on the schedule for September to discuss online poker but it will be 2016 lawmakers try again with a new bill. For now, iPoker is unregulated and we recommend that players either wait patiently for the regulation process to complete or head next door to New Jersey and play on their regulated iPoker network. Presently, only three states have regulated online poker. One of those is next-door neighbor New Jersey. 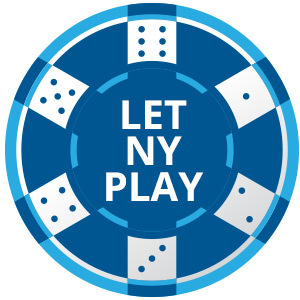 They are the leader in the regulated iGaming marketplace and their success has prompted New York state lawmakers to examine iPoker regulation. Nevada, New Jersey and Delaware have all regulated iPoker and should New York legalize the game, they will likely take a similar path in drafting their regulations. This means that online poker will start out as intrastate poker and only players within state lines will be able to play online poker. Next, online poker operators will face high standards for iPoker technology and player tracking an authentication. New Jersey is the leader in player verification and geolocation and you can expect New York to follow suit in their requirements. Player verification and geolocation technologies help to verify that players 21 and older are the only ones playing online and that players outside of New York are not playing. Online poker operators within New York will be required to obtain a license in the same way as a brick and mortar casino. Operators will likely be required to partner with a casino already existing in New York and segregate player’s funds from casino operating funds. While it is too early to know for certain which poker rooms will operate in New York, it is a safe guess that WSOP.com and 888 Poker will be among the operators. WSOP.com currently operated in Nevada and New Jersey and 888 has a prescience in all three regulated states. PokerStars may operate in New York if a bad actor clause is not present in iPoker regulations. PokerStars continued to spread online poker in the United States after the passage of the UIGEA and this has resulted in some states instituting a bad actor clause to block PokerStars from offering online poker. In terms of the chances of online poker passing in New York in 2016, we presently put them at 50-50. This is mainly because the issue has received little debate over the past couple of years. While hearings on iPoker are in the near future, it is still too early in the regulation process to think that a bill will pass in 2016. We believe that 2017 or even 2018 is a more realistic goal for New York iPoker regulation.